No matter if you are good at getting whole foods into your diet or not, we all need extra nutrients from a vegetable supplement to keep our bodies healthy. But some of us.. okay, MOST of us don't have time to juice with our hectic morning routines. The solution is Nanogreens! Nanogreens superfood is the easiest and quickest way to get your daily dose of vegetables & fruits. This green powder supplement is truly a powerhouse of nutrition and wellness, made easy. It's fitspiration Friday! Meet the beautiful & inspiring Carolyn Cariaga. 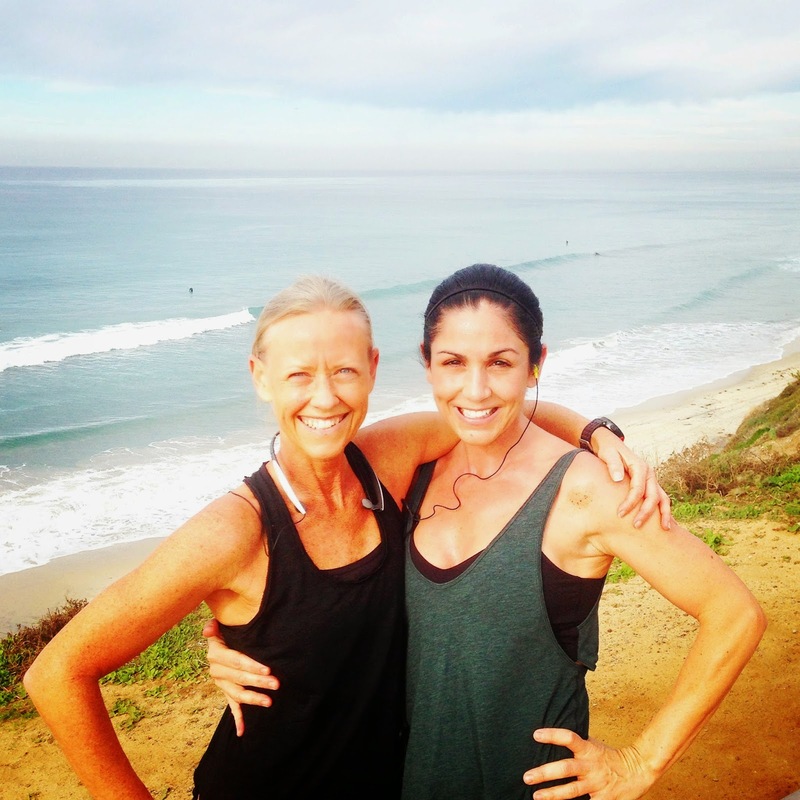 I met Carolyn through our amazing tribe at Mantra Yoga & Juice Bar. I soon found out that she's a total fitness maven! She's in love with the benefits of hot yoga, crushes core in Pilates, burns it up in Barre, rocks it in Boot camp, and weight trains with her man on the regular. She is the definition of diversity, mixing it up to keep her workouts fresh, fun & rewarding! She took me to The Movement Lab in Solana Beach for a Hip Hop class and we had a BLAST! TF: What gets you out of bed in the morning and why? CC: Gratitude. Every morning I wake up I am thankful to have another day to better myself. Bettering myself gives me the opportunity to help & be of service to others. TF: How do you stay motivated to workout everyday? CC: Surrounding myself with people who have the same goals & lifestyle helps a ton. I have a great group of friends and a wonderful fiancé that are into health & fitness. I love the feeling I get after a workout. I feel a sense of accomplishment. TF: What are 3 things you couldn't live without in regards to your health regimen? CC: Water. BEST thing you can do for your body, it's so good for you! BCAA. Branch chain amino acids help with muscle recovery, reduces fatigue & soreness so I can still work out the next day. Also, it's important to feed & fuel your body. I try to eat as healthy as possible and I eat a lot! But when I have a cheat meal I don't beat myself up, I enjoy it. Carolyn's Mantra: "He who has health has hope, and he who has hope has everything"
Thank you for sharing your inspiration with us Carolyn! And for the great reminder that working out can and SHOULD be fun. With so many options, there's no excuses! We all deserve an active, healthy life! With a genuine personality and a playful yet grounded attitude, Tammy Fodrey speaks to the spirit inside each of her students. Tammy uses practical application of yoga postures with strong, engaging messages to encourage her students to break free from self-imposed limitations and create every opportunity to grow and thrive in life and on the mat. As an experienced yoga practitioner and teacher, Tammy’s classes are a mixture of rhythmic vinyasa flow and alignment based education of traditional yoga postures. Her classes are characterized as challenging yet gentle, as she inspires her students to stimulate self-awareness, vitality, and connection. 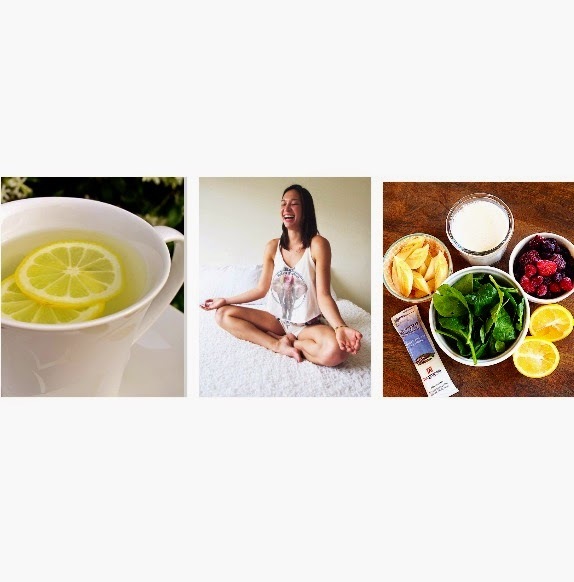 Tammy is a dedicated mother, yogi, runner and wellness ambassador whose ultimate goal is to find to grace and ease in a busy, fast-paced world. She offers group classes, facilitates workshops, and teaches private sessions in her community. Not sure how to take ginger or how much to take? 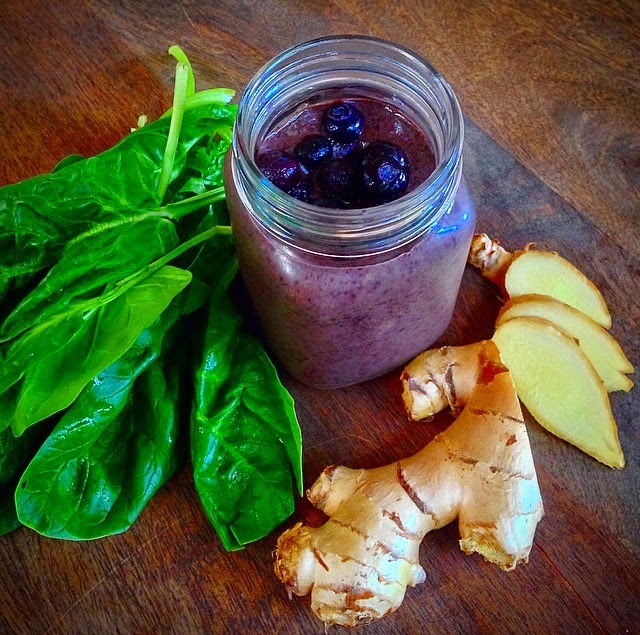 Add it to your smoothie along with your superfoods! Blend all ingredients until smooth & ENJOY! As I entered my yoga teacher training 4 years ago, I was still somewhat thinking along those lines. Sure, I'll learn the postures, recite the sanskrit, take people through a sequence that makes sense. I can connect to my emotions, and talk about it. I can do that. But a big fat N-O to those chakras! What was my beef with them? Why did I resist so much? E N E R G Y. The flow of our energy is crucial to our existence. It connects us to our spirit. It is everything. And just as the breath connects the physical body to our subtle, energetic, emotional body.. I finally connected to my practice, and the puzzle started to come together. I teach what I am passionate about, and instead of my eyes rolling at the thought of chakras, my eyes light up when I get the chance to speak and teach others about them. 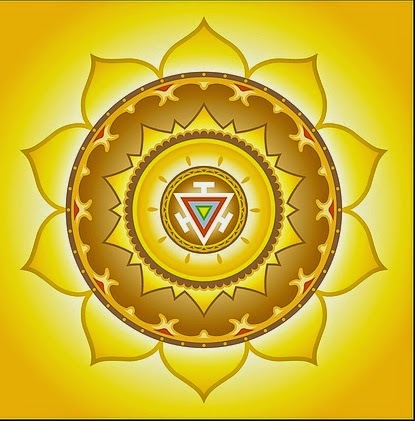 This week I am focusing on Manipura, the solar plexus.. or 3rd chakra. You have the power to choose. Consciously harnessing the energy of Manipura gives us the ability to move forward in life with confidence. To make conscious choices and act on those choices from a place of self-love, self-acceptance, knowing our self-worth. Whatever you believe about yourself on the inside is what you will manifest on the outside, and as we come into a loving relationship with our SELF we are then able to fully and completely love others. This is the first act of love. Love yourself first. You have the power to choose. Do you choose love, light & healing? Do you value yourself and your work? Are you confident in your ability to do something well, do you love & accept yourself, and are you willing to express that to others? If we continue to struggle with self-love, chances are we will greatly struggle with outward-love and our relationships. We will suffer, and they will suffer right along with us. Stop having the conversation with yourself that you aren't good enough, that you will fail. Start loving yourself and own your greatness! And it's okay if you're rolling your eyes at me, I've been there. And I love you anyways. But the point is..
It’s Fitspiration Friday! 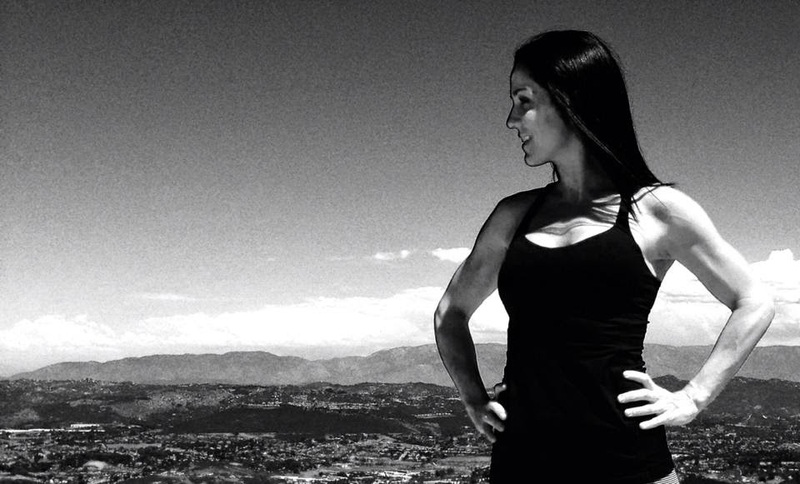 Meet Tara Steuernagel: Rock star runner, yoga devotee, mom and business owner! Tara is one of the most dedicated people I have ever met. She pulls off three runs AND three yoga classes per week.. effortlessly! Tara: I get up to see what life has to offer. To get to see my wonderful son. To live life & work on myself. Lately I have been refocusing and learning how to balance life for my family, my relationship with my husband, as well as put some focus on myself. I wake up excited to work on this and see what this new positive energy will bring myself and my family. TF: Who and what inspires you? Tara: This has been a very long and stressful past few years. Moving from our home town to San Diego, then dealing with some health issues. I’ve met a few people this past year that have really inspired me with all their words of positive thinking and focusing on positive energy. Catherine Mazure, the yoga teacher I take classes with at Re:form Yoga in Carlsbad, has been a huge part of this for me. I am also very thankful for new friends in my life who inspire me every day. TF: How do you stay motivated to stick with your workouts? Tara: I get to go to my “happy place”. I love the high I get from running. I am a morning runner, because it’s such a great way to start my day. The days I don't' run, I definitely miss it. I am an early riser, so I try to get to bed early! My motivation to keep going is just how it makes me feel when I’m finished! Tara’s Tip: Make time for yourself each day. Don't let the stress that life can bring take over your life. You matter, you are important, and you need to take care of you too :-) Focus on the positive and positive will come. Thanks for sharing with us Tara! Keep inspiring us friends! About Tammy: With a genuine personality and a playful yet grounded attitude, Tammy Fodrey speaks to the spirit inside each of her students. Tammy uses practical application of yoga postures with strong, engaging messages to encourage her students to break free from self-imposed limitations and create every opportunity to grow and thrive in life and on the mat. As an experienced yoga practitioner and teacher, Tammy’s classes are a mixture of rythmic vinyasa flow and alignment based education of traditional yoga postures. Her classes are characterized as challenging yet gentle, as she inspires her students to stimulate self-awareness, vitality, and connection. Tammy is a dedicated mother, yogi, runner and wellness ambassador whose ultimate goal is to find to grace and ease in a busy, fast-paced world. She offers group classes, facilitates workshops, and teaches private sessions in her community. To glow on the outside is an INSIDE job! 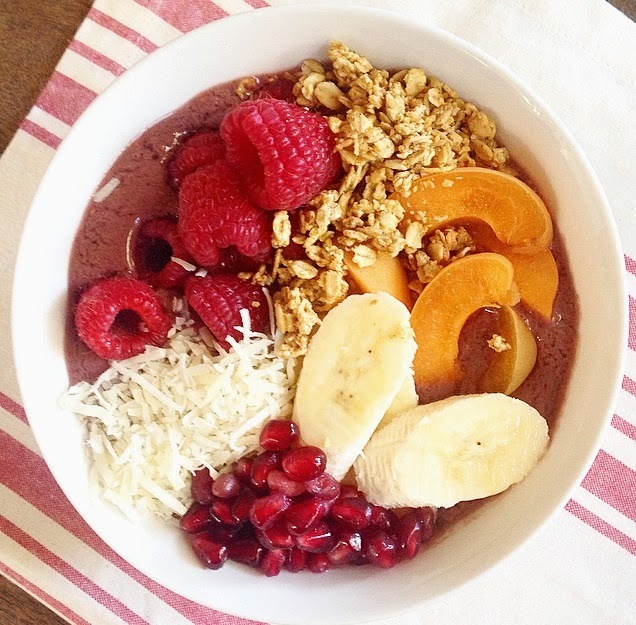 This bowl of goodness is packed with superfoods & antioxidants, and it's a great way to add fresh fruit to your diet. Discover just how much your body can transform itself by eating simple, clean whole foods! For those of you who avoid fruit because of sugars, we want to remind you that although fruit does have natural sugar, it also contains vitamins, antioxidants and trace minerals that support your health by assisting in energy production, cellular health, bone strength and immunity. So by all means.. enjoy fruit without reservation, unless advised otherwise by a medical professional. However, stay away from refined sugars found in packaged foods! Reach for some fresh or frozen fruit, add in your superfoods and your protein.. and feel the difference in your body!